What makes it special: The Bonneville was built by Pontiac from 1957 to 2005. Bonnevilles were full-sized, with the exception of a brief period of mid-size between 1982-86. The brand was introduced as a limited production performance convertible during the 1957 model year. The Bonneville and its platform partner, the Grand Ville, are some of the largest Pontiacs ever built, and at 5,000 pounds and more were also some of the heaviest cars produced at the time. What made it famous: Bonneville became a separate model in 1958, available as a two-door hardtop or a convertible. It paced the Indianapolis 500 in its first year. 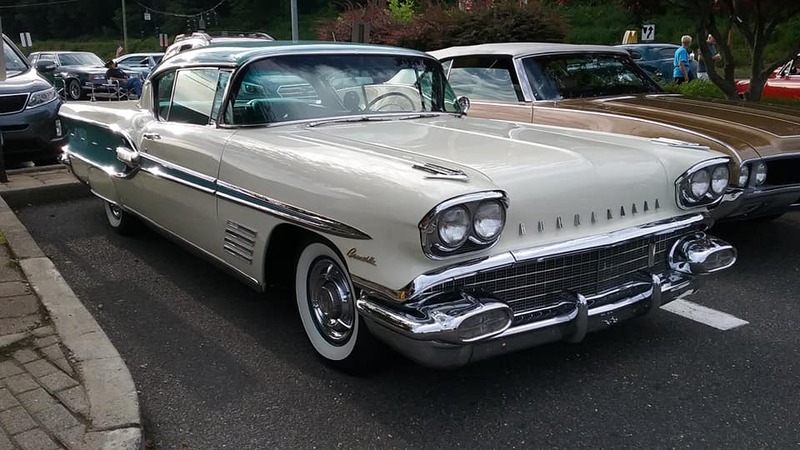 As a separate model Bonneville had a significantly lower price tag of around $3,000 thanks to the demotion of most of the luxury items found on the 1957 Star Chief body style from standard equipment to the option list. Also a 300 horsepower 370 cu in V8 with a 4-barrel carburetor and dual exhausts was now standard equipment. The fuel-injection system offered with the standard engine on the 1957 Star Chief body style was now listed as an extra cost option but very few 1958 Bonnevilles were so equipped due to a towering price tag of over $5000, which was not considered a very good value considering that for less than $100, a Tri-Power option was available with three 2-barrel carburetors and even more power. The electric clock was standard. Why I would want one: I like the fact that they aren’t very common. Although I enjoy the usual stuff you find at car shows, it’s nice to see something a little different than the rest. Fun fact: The 1958 models shared a common appearance on the top models for each brand; Cadillac Eldorado Seville, Buick Roadmaster Riviera, Oldsmobile Holiday 88, Pontiac Bonneville Catalina, and the all-new Chevrolet Bel-Air Impala.